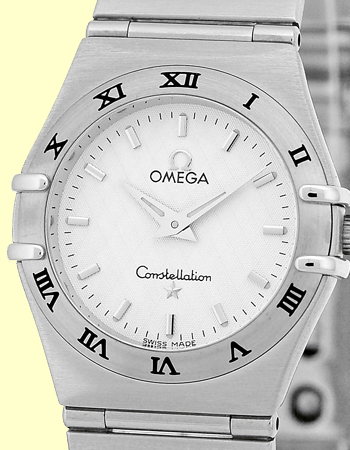 Lady's Stainless Steel Omega "Constellation". 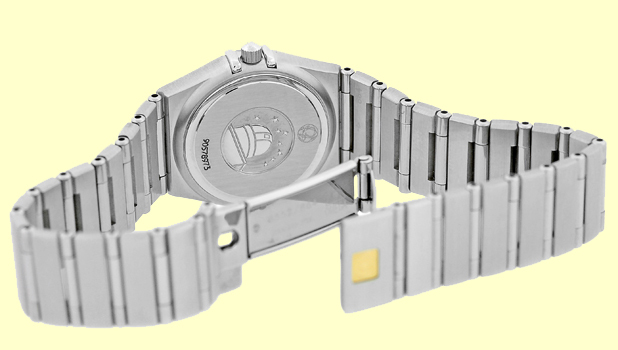 Silver Guilloche Dial with Silver Baton Hour Markers, Matching Bezel with Black Roman Numerals, and Sapphire Crystal. 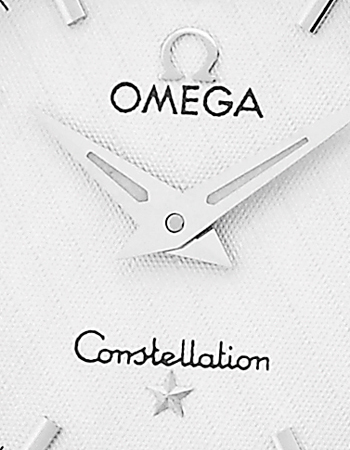 Matching Stainless Steel Omega Constellation Bracelet. 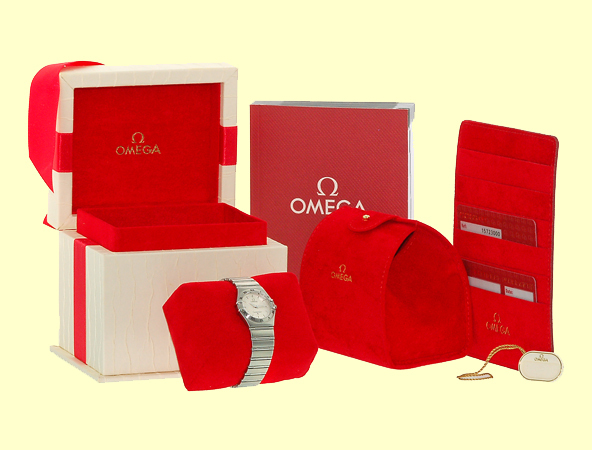 New, Showroom Fresh, with Omega Box, Booklets, Warranty Cards, Hang Tag, and complete with Capetown's Lifetime Warranty! !